The two-day conference highlighted some of the layered challenges facing India’s slums. 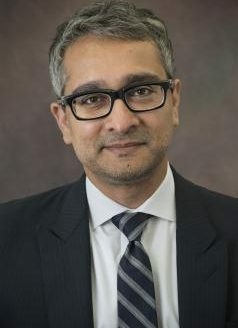 Anup Malani, the Lee and Brena Freeman Professor at the University of Chicago Law School, harped on the fact that slums are not just a product of limited state capacity but a withdrawal of what limited capacity there is. Adam Chilton, Assistant Professor of Law at the University of Chicago Law School, presented various socio-economic factors responsible for the growing demand for slums. Debolina Kundu, Associate Professor at the National Institute of Urban Affairs in New Delhi, argued that as opposed to the general perception, urban growth in India is witnessing a southward trend and rural-urban migration is also on decline. While Amita Bhide, professor at the Tata Institute of Social Science, Mumbai pointed out how slum development narrative in Mumbai is centered on how to make it feasible and profitable for real estate developers, Pratima Joshi of Shelter Associates in Pune explained how granular data guides local government when it comes to giving access to improved sanitation and other essential services in slums. Urbanization is an important step in India’s development: millions of people, by revealed preference, are demonstrating that they are better off in cities than in rural villages. Yet urbanization also has the potential to result people being pushed into new slums and also contribute to the worsening of living conditions in existing slums. Additionally, poor health and sanitation conditions may temper the economic benefits of growing. Now is a crucial time for academic and practitioners to develop nuanced understandings of slum conditions and collaborative proposals for interventions to help improve the social and economic conditions in India’s urban centers. The conference will focus on discussing issues related to urban poverty in India, including: rural-to-urban migration, health in slums, property rights, housing policy, and the provision of public services. The event will bring together experts from the University of Chicago on law, development, housing and land use policy, and urban planning, along with scholars, community leaders, practitioners, government leaders, and experts from India. University of Chicago Law School Professors Adam Chilton and Anup Malani will also present early parts of their book project based on qualitative and quantitative research on slums in major Indian cities. The conference will create a dialogue for researchers to present research that is relevant to improving the economic and social development of slums, and for the researchers to learn from the practitioners and community leaders about the most pressing policy problems facing India’s slums.